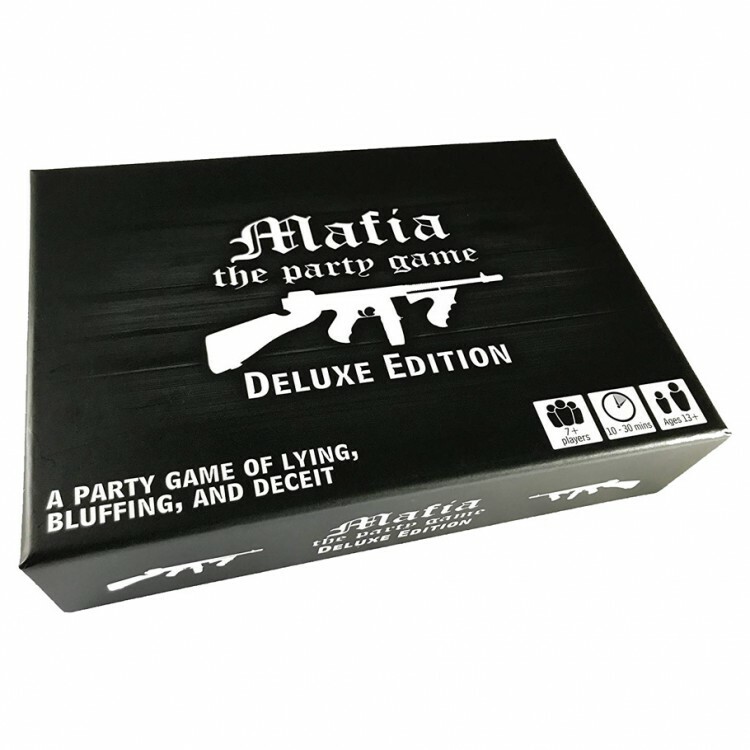 Mafia is a game of lying, bluffing, and deceit where players try to eliminate the other team from the game. There are two teams; Mafia and Civilians. The game is divided into two phases; night and day. The Civilians win if they eliminate all the Mafia players and the Mafia win if they equal or outnumber the Civilian players. Mafia is played with a Moderator. The Moderator guides the players through the night and day phases, keeping the game on track and keeping the players engaged. 84 role cards, 47 unique roles. You'll never play the same game twice!